A day of sunshine, sand and non-stop smiles. Few things can cure the mid-winter blues faster than a spirited drive up the California coast in an open-topped car on a sunny day. How do I know this? 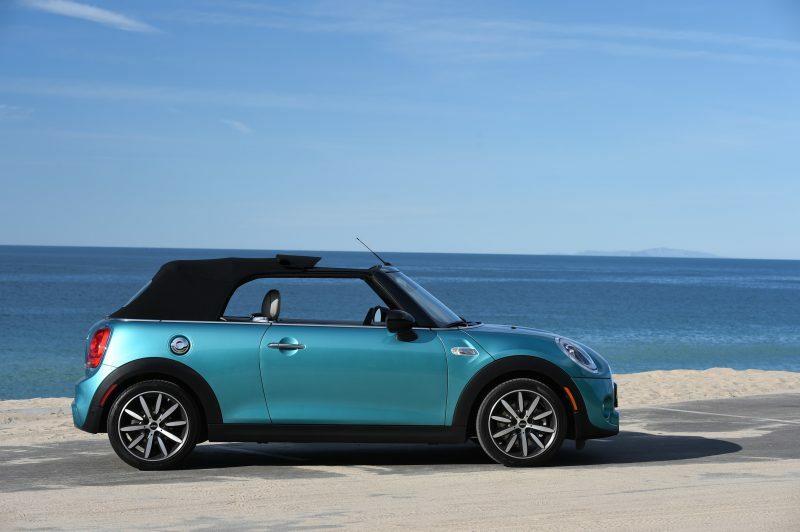 On February 10 under the slate gray midwestern skies, I boarded a plane bound for LA where waiting for me was a Caribbean Aqua 2016 Mini Cooper S Convertible. The day I spent behind the wheel and under the sun did more to cure my Seasonal Affective Disorder than a fistful of Wellbutrin and binge watching reruns of Baywatch ever could. But before I could drive I had to be briefed on the new Mini Convertible and the changes that had been made for this new model. That meant a group dinner at The Commissary, one of Roy Choi’s signature restaurants in The Line Hotel. 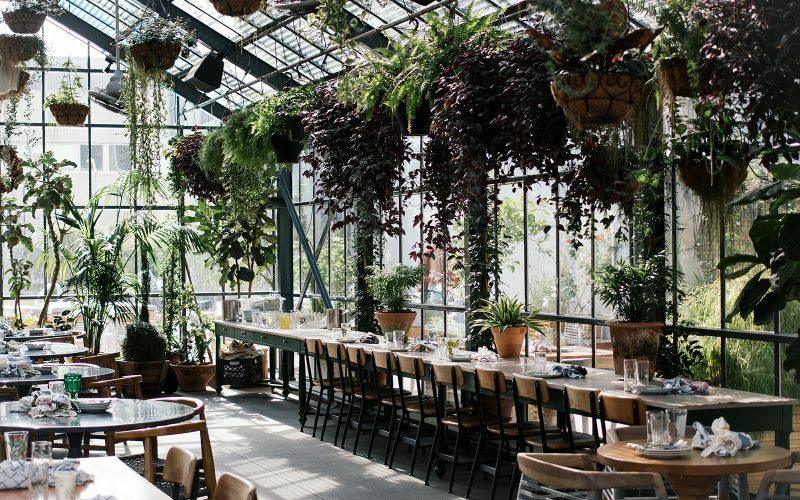 We were treated to a variety of dishes that epitomize modern California cuisine, including grilled lettuce with pear, bacon and avocado; cauliflower steak with curry, parmesan and yellow sauce; chicken confit, pan-roasted scallops; veal short rib stew among other things. 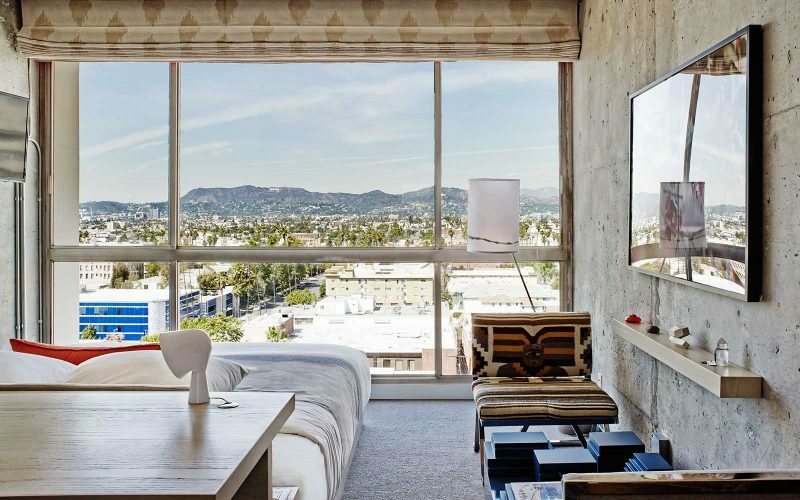 The Line Hotel itself is an appropriately funky place in Koreatown, where the rooms feature sleek, modern furniture and the walls are poured concrete. With large windows on one wall overlooking the Hollywood hills, it felt almost like I was sleeping in a garage with glass doors. 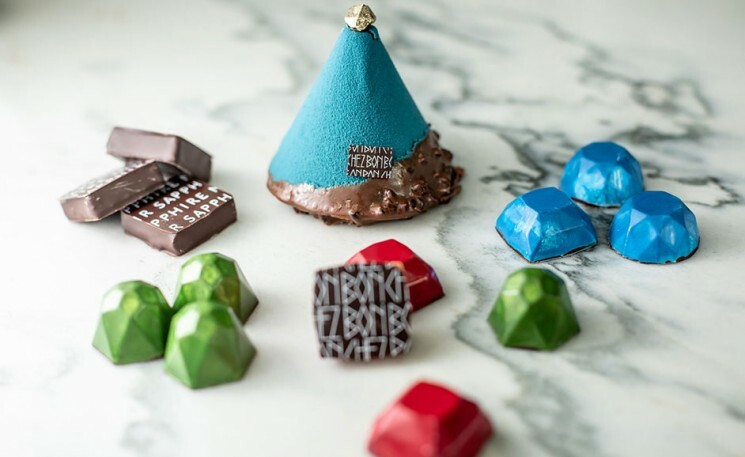 It’s fun, casual nature made it the perfect place for Mini to hold this event. The next morning, my fellow journalists and I enjoyed a poolside breakfast and then studied the presentations given by Mini executives on the new car. 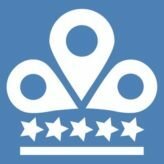 Having been thoroughly nourished and briefed, it was time to negotiate LA traffic over to the Pacific Coast Highway, head north to Malibu and see if the new Mini droptop is as improved as it is new. While the new convertible is four and a half inches longer and nearly two inches wider than the outgoing model (it shares the same architecture as the two-door hardtop I liked so much), that’s not the first thing you notice about it. The upgraded interior really is the star here, elevating it to a level of premium well above any other compact convertible. The leathers look and feel terrific and the surfaces, switches and touchpoints are high quality without losing the quirkiness that makes Minis so fun. And fun is really what this car is all about. 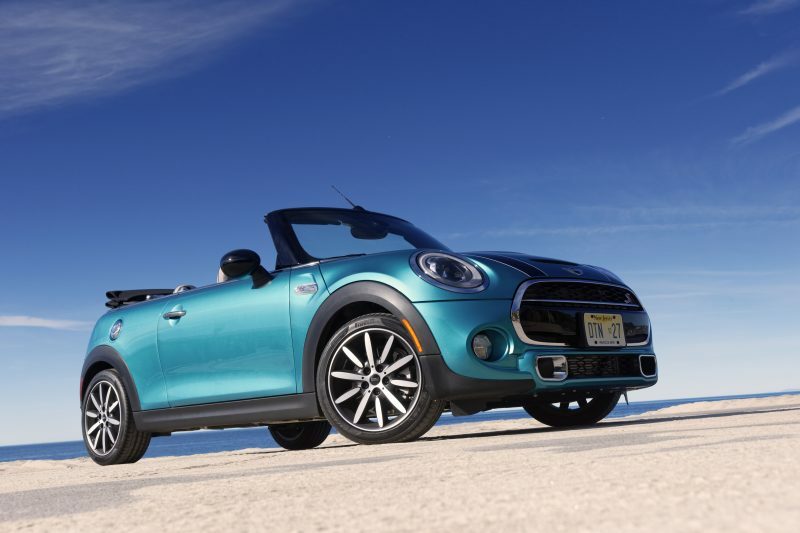 Powered by a 2.0L four-cylinder TwinPower turbo engine that makes 189 horsepower, the Mini Cooper S Convertible can get to sixty miles per hour quickly. A tick or two under 7 seconds depending on whether you choose the six-speed automatic or manual transmission. The base engine is a three cylinder turbo that makes 134 horsepower. For my money, the four-cylinder engine is well worth the upcharge. Also available is a John Cooper Works version of the convertible with a retuned four-banger that’s rated at 228 horsepower. One of the biggest surprises I discovered, as I turned right off the PCH and headed up Mulholland Drive was how tight and rigid the colorful cabrio’s chassis was. Normally when you cut the top off a car to create a convertible, you introduce a lot of torque and flex into the platform. That’s not the case here. 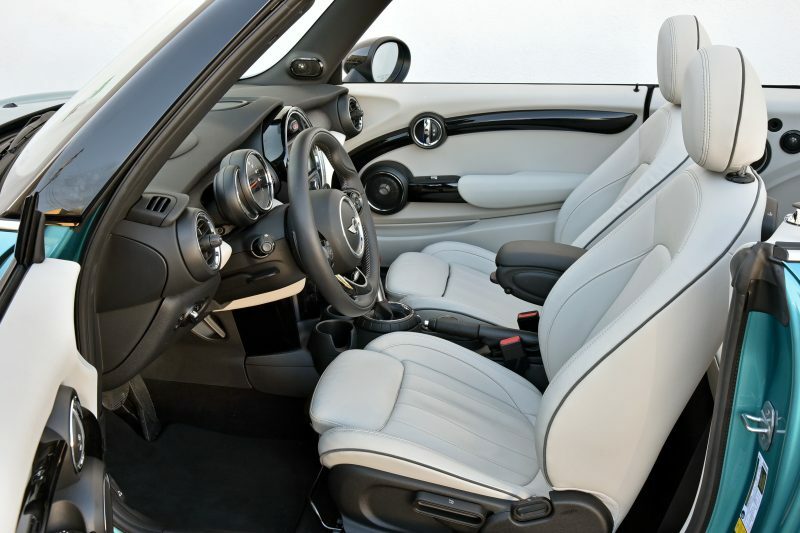 The engineers at MINI have done a great job of reinforcing the car so that there’s no noticeable difference between how the convertible and the hard top handle. I pushed the little car hard through some very tight sections of the canyons and can unequivocally state that it lives up to its “go kart handling” promise. In addition to being fun to drive, some upgrades have been made to the convertible top, itself. The power mechanism lowers and raises the ragtop in just 18 seconds and can be done while the car is moving at speeds of up to 18 miles per hour. This came in handy when I was moving slowly on the 405 in a typical LA traffic jam and wanted to mosey along in air-conditioned comfort. The other thing that makes this convertible different from others is the “sunroof” design, that allows the front half of the roof to slide back opening the roof without completely lowering it. Get behind the wheel of a Mini Cooper and it’s hard not to smile. 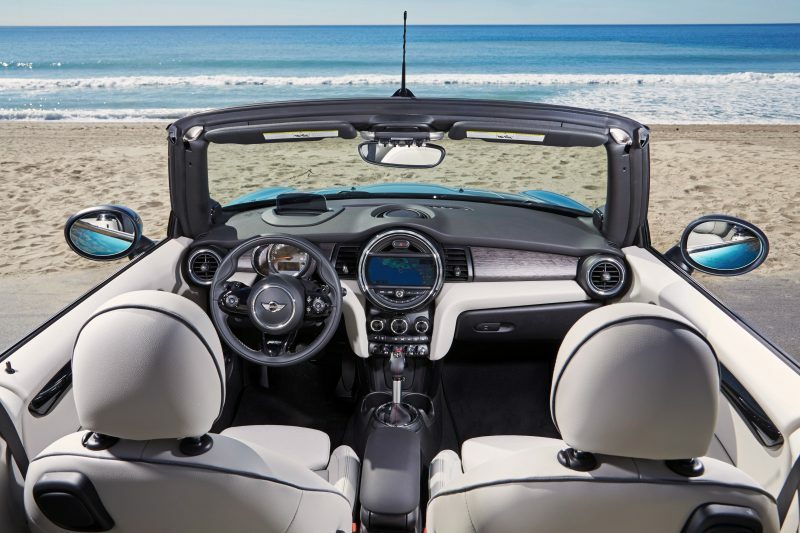 But when you’re driving Mini Cooper S Convertible along the California coast when it’s below freezing back home, a guarantee you, you will be grinning from ear to ear.